Entrepreneur, accomplished events planner, host, and devout world traveler. As founder and owner of NubianGlamRock Entertainment, based in Phoenix, Arizona, her company has become the bedrock for innovative cultural events and experiences since 2011. Events including the area’s largest Natural Hair Expo, the Arizona Jerk Festival (now in its 4th year), and many more have added diversity to the Phoenix landscape. Those who are familiar with Miss Dee, know of her passion for traveling. Whether it’s for a Caribbean Carnival, group trips, festivals or beautiful beaches she’s ready for a good experience. More importantly they know of her love for saving and not breaking the bank while traveling as well. CloudCoasters Travel Concierge. was founded by Miss Dee in the summer of 2017, the company is an extension of her passion for traveling where she also serves her already booming network of affiliations and VIP clients in booking low cost travel. • Offer advice and methods to encourage fellow singles in the dating world to harness the power of their own social media for positive dating experiences. 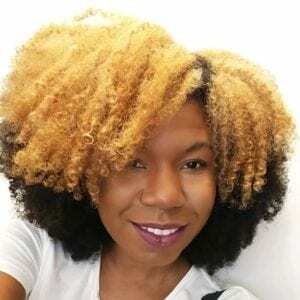 In her most recent role in the Baecations community she’s provided transparent advice, coordinated dates and dating challenges, facilitated discussions around important dating subject, and more. She’s now building her focus on coaching individuals on how they can makeover their personal profiles to make dating via social media more of a success and less of a disappointment.